01/06/2001 Congratulations! Your web-site has been reviewed and chosen to bear the 2000-2001 Golden Web Award. 01/15/2001 Congratulations!! You have won the WDS Bronze Choice Award For Web Excellence from the Web Design Studio. This award is given to outstanding WebPages. You have done a wonderful job on your site keep up the good work. 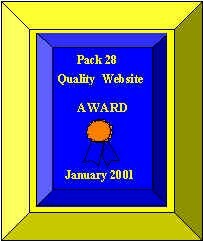 03/16/2001 Congratulations Venture Crew 369, your site has been selected for the Pack 28 Quality Web Site Award. Your site joins a select few who have won the award this year. 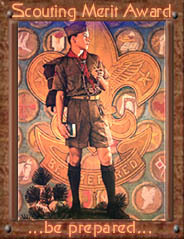 Pack 28 Quality Web Site Award winners serve as examples to other Scouting groups that may be considering developing their own web sites. The winners provide informative content with a high level of excellence and professionalism. EXCELLENT anamation on the Venture Crew ball 369. 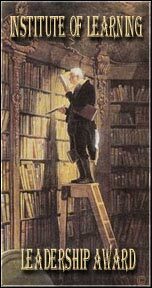 07/24/2001 We applaud your site's ease of navigation, and invaluable content. Considering the nature of your site, it is with great pleasure that we give you the Scout Merit Award, as well as our Leadership Award. In light of recent events many people all over the world are displaying the Americna flag. Post 369 of The Boy Scouts of America in Columbus, Ohio needs to be congratulated for organizing the "Rules for Displaying the Flag of the United States." These boys have detailed the rules and regulations in such a manner that no one should ever have any confusion over the proper way to display the "Star Spangled Banner." Please check out this site and proud of what our American youth are doing. 10/22/2001 Congratulations On a Job Well Done!!!!! 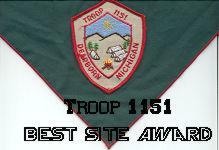 10/24/2001 Congratulations your site has won the Troop 1151 website award!